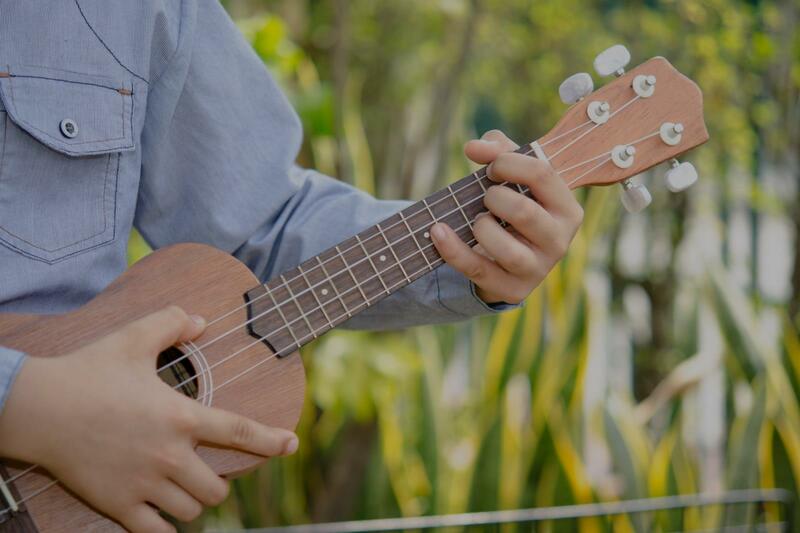 Cuero, TX Ukulele Lessons Near Me | Fun Classes. Top Teachers. Can't find a teacher in Cuero, TX? ng, performing, and learning guitar/ukulele). The teacher had to have positive energy: there's nothing worse than a boring teacher. They had to be personable, communicate well and be NICE, but still be demanding when needed (to keep us challenged and excited and *learning*!). And finally, they had to have No Big Ego -- that is crucial to me, and very hard to find when you find someone that is very good at what they do. Well, Francesca is ALL of those positive qualities. She knows her stuff, communicates very efficiently (and nicely!). She has a huge range of skills and talents -- from very professional skills/talents while still being able to do/show very down-to-earth personal performances (check out her videos of her performances -- you can see she is very skilled but also very personable -- a rare combination). Another HUGE quality is her ability with kids. While I am an adult, it was very telling about what kind of *teacher* Francesca is by seeing her be successful with Kids. When I would arrive a bit early for my lessons, often she was just finishing up the last few minutes with a child. She is VERY good with children -- and that is a skill in itself. It's one thing to communicate well with adults; a whole other talent to be "fun" and inspirational to kids! And Francesca does that extremely well. The children learn and have fun doing it -- you can tell by the interactions that the kids are excited and are learning and doing well... of course that equals Fun (and keeps them motivated to learn more). If you have children that want to learn any musical instrument, I would highly recommend Francesca. All in all, I am very happy I found her. I have learned SO much in just my first several lessons that I am very pleased with the VALUE of her teaching -- some teachers may be cheaper in cost, but if it takes 5 times longer to learn from a semi-good teacher, you end up spending more and getting less, and taking more time. The old saying applies here: "You get what you pay for." If there were 6 stars available, Francesca would get that rating from me." San Diego, CA teacher: Francesca V.
"Matthew was great. Quickly picked up on my strengths and weaknesses and found a way to address both. Looking forward to future classes with him." New York, NY teacher: Matt Patrick W.
"great teacher who makes you comfortable learning at a beginners level. she knows her stuff and explains it so well. i loved my class with jessica!!" New York, NY teacher: Jessica D.
"Excellent instructor. Knows how to keep you engaged even when you have no musical experience at all." Washington, DC teacher: Geoff S.
d gifting in music he is the perfect instructor for anyone wanting to learn." Norfolk, VA teacher: Andrew M.
exceptional guidance, and continued encouragement! *****"
atmosphere for people of different musical backgrounds. Highly recommend Phil!" Chicago, IL teacher: Phil C.